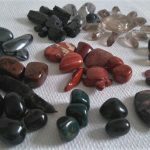 What is Crystal Energy Healing? 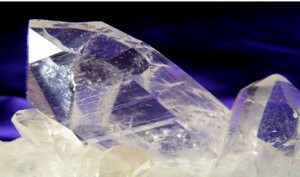 Crystal Energy Healing combines Sekhem Energy Therapy with the intuitive placement of high quality healing Crystals. Each unique Crystal offers its own powerful vibration and is applied both on and beneath your body to re-align and re-balance your entire energetic system, facilitating deep relaxation, profound healing and transformation. Sekhem Energy Therapy serves to magnify the power of the crystals and assists your personal healing process. 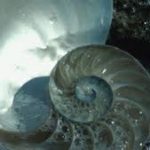 Crystal Energy Healing is an advanced and effective treatment to cleanse your aura, assisting the release of suppressed traumas and connecting you to your own source of truth and power. In a Crystal Energy Healing session, you will be asked to remove your shoes and lie on a massage table, fully clothed. 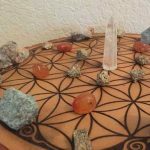 Large Crystals will be placed under the table and smaller tumbled stones will be placed on your body as I gently bring through the Sekhem Energy. $75 for a Crystal Energy Healing session or three sessions for $200.